Since the day we moved here (even before that really) we knew we wanted to grow a family orchard. 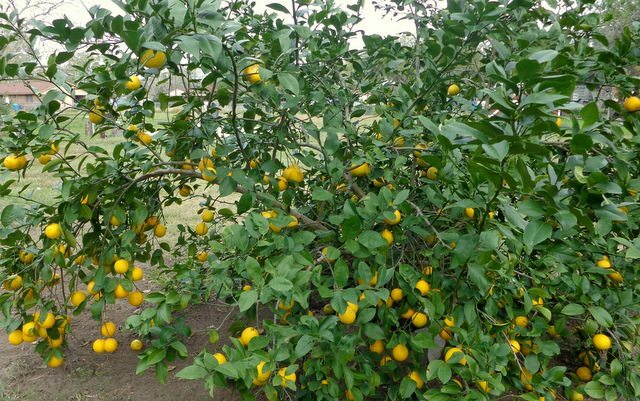 When we bought this property there was a mature lemon tree that gives us over 200 pounds of lemons each year and two mature pecan trees that really need to cared for better so they will produce. Since then we’ve added more citrus, peaches, plums, pomegranate, figs, apples, pears, grapes, blueberries, avocado, blackberries and raspberries. One day we hope to not have to purchase fruit and even though we are several years away from that, it gets closer each day. Most of our trees are still immature and we’ve had some struggles with many of them. The first year we were here we planted too many trees and in the heat of the summer got overwhelmed, didn’t care for them well and lost a few. The next year our neighbor let his “pet” rabbits go because he didn’t want them anymore and the rabbits ate our small fig tree down to a nub. It’s recovered and has produced a few figs but the destruction put us back a couple of years. Then last year our peaches and plums were full of blooms and then small fruit. We were so very excited! Then we had the wettest spring on record and by mid June all four peach trees and one plum tree had dropped their fruit and leaves and eventually died. So we have to start over. Fruit trees are along term investments, but they are so worth it. Most fruit trees will produce for 20 or more years. And although they do take some care, they don’t the daily care that a vegetable garden takes. The first thing you need to do when considering a family orchard is to ask yourself what fruit your family likes the most. And try to start with those trees. There is no sense in planting a fig tree if no one in your family likes figs. The next thing to do is to look for varieties that will grow well in your area. Several people have recently told me how fortunate we are to be able to grow citrus… and we are. But did you know that Meyer lemons and Satsuma oranges can be grown indoors in a pot? They can, and they do very well. So if you want to grow citrus and live in a colder climate, consider growing part of your orchard indoors. If you live in a moderate climate, like we do, you will have to make sure you choose low chill trees for those trees that need a certain number of chill hours like apples, peaches and cherries. Chill hours are the number of hours that the temps dip below 45 degrees Fahrenheit. In our area that’s about 200-250 hours which is pretty low. Be sure to make notes for each tree such as how big it will get, what kind of soil it likes, average yield and anything else you think will be helpful to you later. Keeping these notes in your gardening notebook will help you not have to do this research each time you decide to add more trees. If you live on a small property you might consider getting dwarf trees or use fences or walls to espalier some of your trees. 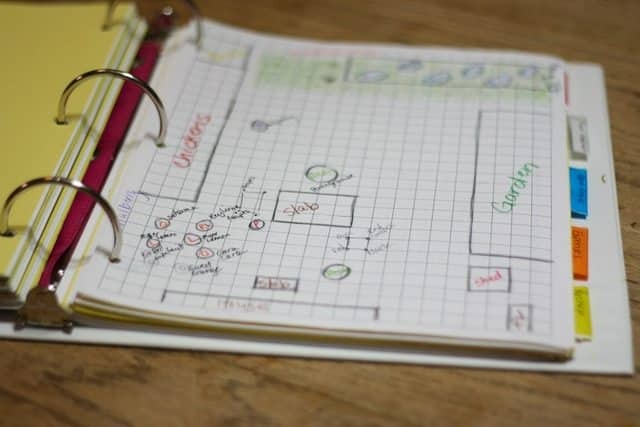 The next step – and this is really important to do before you buy any trees – is to take your list with notes and some graph paper (printable included in The Gardening Notebook) and go outside. I like to use one square on the graph paper to represent about 4 sq feet in real life. If you have a large property you can use a bigger ratio, just make sure that you actually use a ratio and don’t just wing it. Mark all the things that are already on your property, for us this is several slabs, chicken run and bee yard, garden area and shed. Now, decided where you want to plant each tree and write it on your graph paper. Then look at your notes and see what you might need to do to prepare the soil before you plant. For instance if you are going to plant blueberries and your soil isn’t acidic enough you will probably need to dig it out and use a lot of peet to fill it back in to grow your blueberries. Now that you have your list with notes and your map of where you’re going to plant each tree you can buy the trees. When to plant fruit trees really depends on where you live. In most climates you will plant in the spring so that the trees have time to develop a good root system before winter comes. But if you live in a climate with mild winters but long hot summers, the best time to plant a fruit tree is in the fall. Unfortunately, most nurseries don’t have fruit trees for sale in the fall so if you can’t plant in the fall, just plant as early in spring as possible. When you actually plant your trees, you will want to dig a hole that is just a bit deeper and about a foot wider than the pot the tree came in. Take the tree out of the pot and soak it in a tub of water to loosen up the root ball. It’s really important to loosen the roots to they don’t continue to grow in a circle. Some people recommend pruning the root a bit and you can certainly do that if you want to help stimulate root growth. Once the roots are loose, put some of the soil back into the hole until the hole is full enough that when you plant the tree it won’t be any deeper than it was in the pot. And set the tree in the hole. At this point I like to add the water and soil from the tub that I soaked the roots in. Once the water soaks into the soil, fill in the rest of the hole with the soil you dug out making sure to only go as high as the tree was originally planted in the pot. Spread some compost over the hole and surrounding area and water well. Now, all of this is assuming the soil where you want to plant the tree is good soil for that tree. 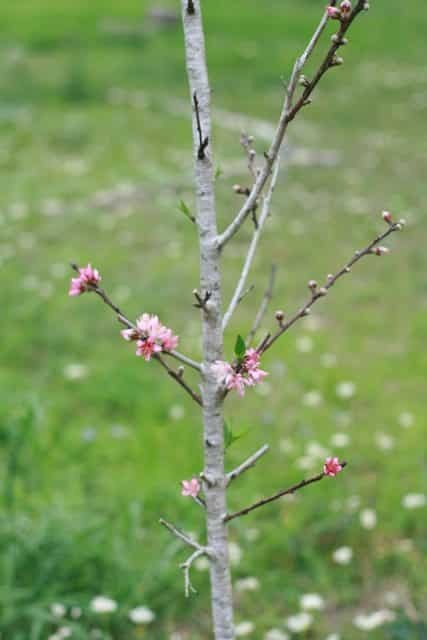 Most fruit trees like well drained soil so if you have a lot of clay in your soil, you will want to work in some sand wherever you think the roots are going to spread. This can be done any time before you plant the trees. 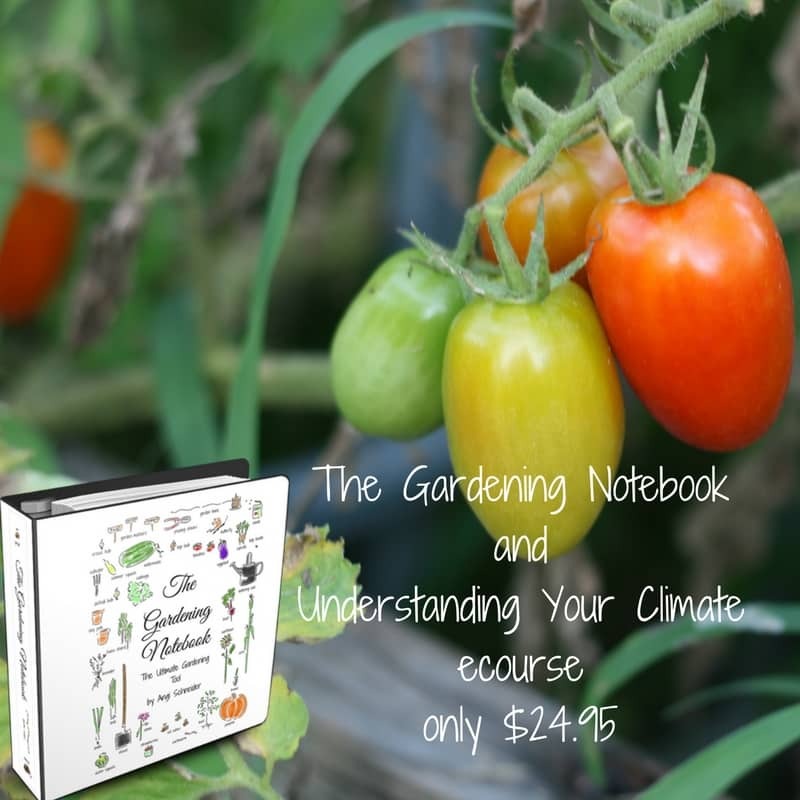 If you need some help learning how to take your dirt and make it soil, I highly recommend The Art of Gardening- Building the Soil by Susan from Learning and Yearning. 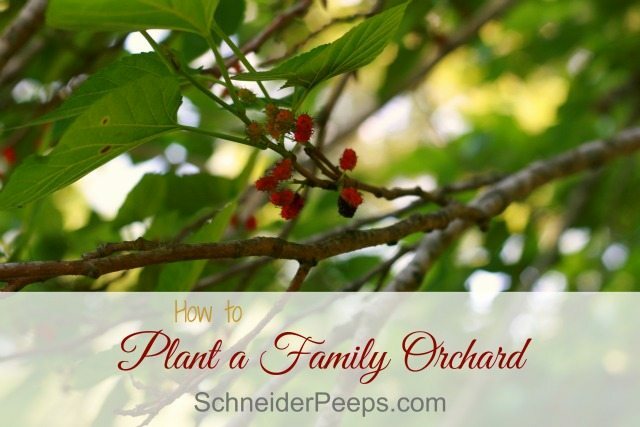 The most important tip for growing a family orchard is to take it slow. 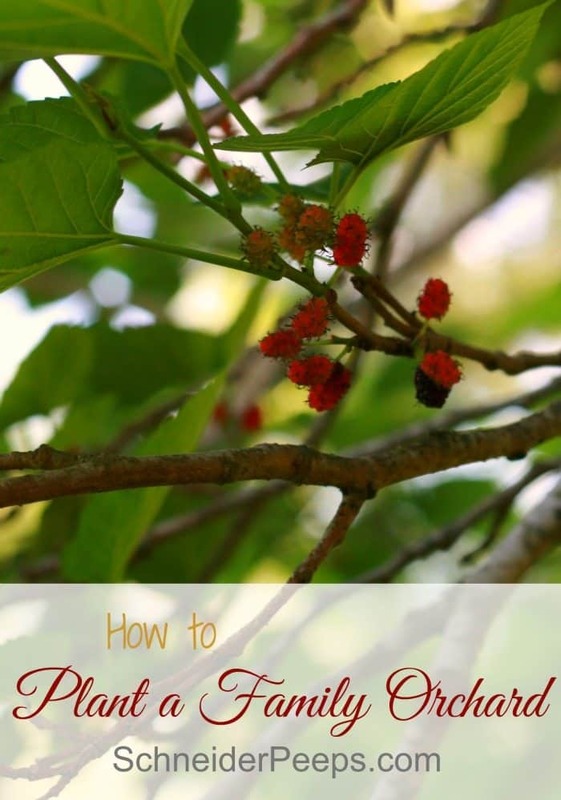 The possibility of feeding our family organic fruit from our own property is super exciting and I tend to get carried away and plant too many different things at one time. So, learn from my mistake and plant just what you can reasonably care for each year. Try to plant a mix of early producing trees with trees that take a little longer to produce and that will help make the wait more bearable. 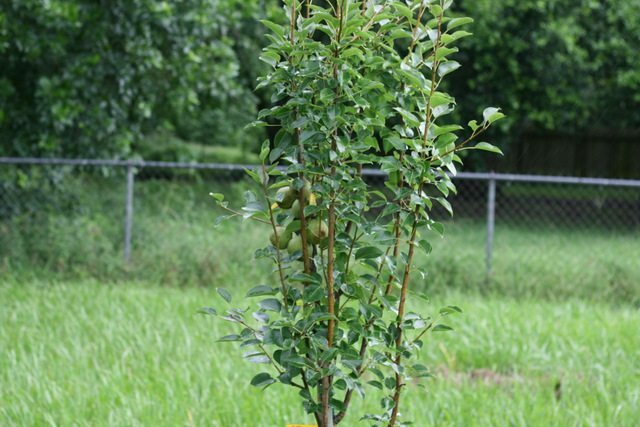 What fruit trees are you growing in your family orchard? We haven’t planted any trees, as we currently rent. 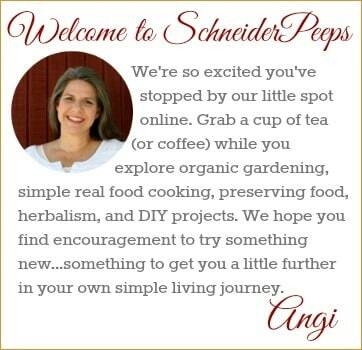 However, my husband and I have tried container gardening – as it is easy to put up and take down. We are learning as we go. 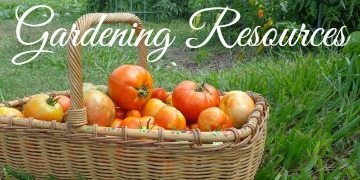 We made some mistakes our first year which effected our tomato crop, but made some changes the second year and it was much better. You get better as you go. I’m glad that you are seeing some success, thanks for sharing!